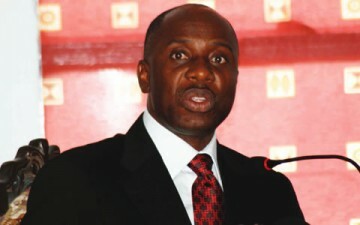 The dispute between the Rivers State and Bayelsa over land delineation and allocation of benefits accruing to the states have deepened with the Rotimi Amaechi-led Rivers State government accusing the federal government of partiality in its intervention into the matter. According to a press statement released by the state commissioner for information, Ibim Semenitari, faulted the position of the Bayelsa State government which according to her, admits that the communities in question are indeed Kalabari communities and clans but continue to demand that the proceeds from oil wells and resources located in these Kalabari communities of Rivers State to be paid to and appropriated by Bayelsa. Semenitari said, “This is illogical as it means that Bayelsa State can be paid revenues from oil wells in Rivers State and vice versa. “From colonial times up till the 10th edition of the administrative map of Nigeria, the boundaries between the Kalabari communities in Rivers State and the neighbouring Nembe communities of Bayelsa state had been clearly delineated with the boundary clearly marked as the Santa Barbara River. The Rivers State government vowed to defend itself in the face of intimidation by the federal government saying it will not submit to any form of coercion. “Rivers State will never ever submit to any attempt, as is being orchestrated now, to be intimidated in its responsibility of preserving the property and resources that rightly belong to the people of Rivers State. “The Supreme Court Judgment is clear- that it could not decide the boundary based on the erroneous 11th edition Map the Bayelsa State Publication is heavily relying on, but that it will await the final delineation to be heralded by the promised 12th edition of the Map,” the statement concluded. We shall see who blinks first in this seemingly unending Niger Delta oil war.